Jaipur was another big Indian city, population of 8-9 million, although I am not sure how they count. 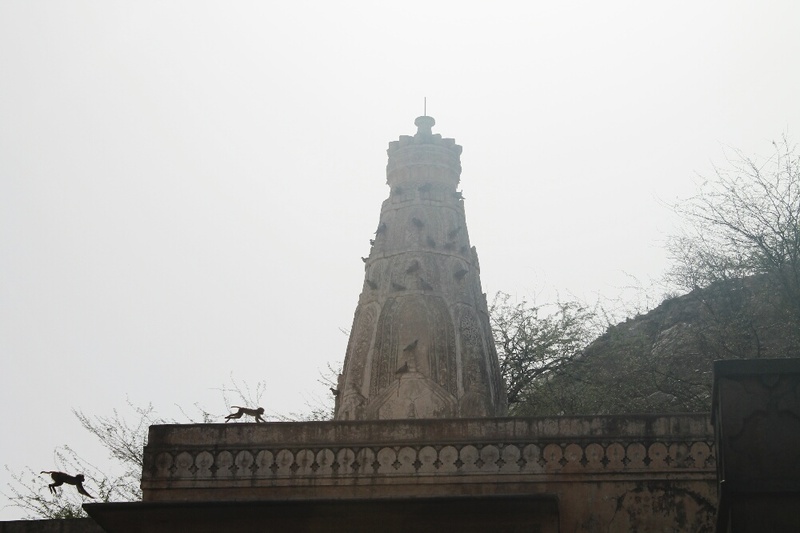 Our first stop was a 500 year old monkey temple, about 10km outside Jaipur, off the beaten track. Typically to get in to the template there are multiple fees, donations and of course monkey nuts! This temple was a little different from some of the others we had seen. In terms of condition, it was in need of some TLC, more than that, to me, it seemed less of an active religious hub and more of community hub. 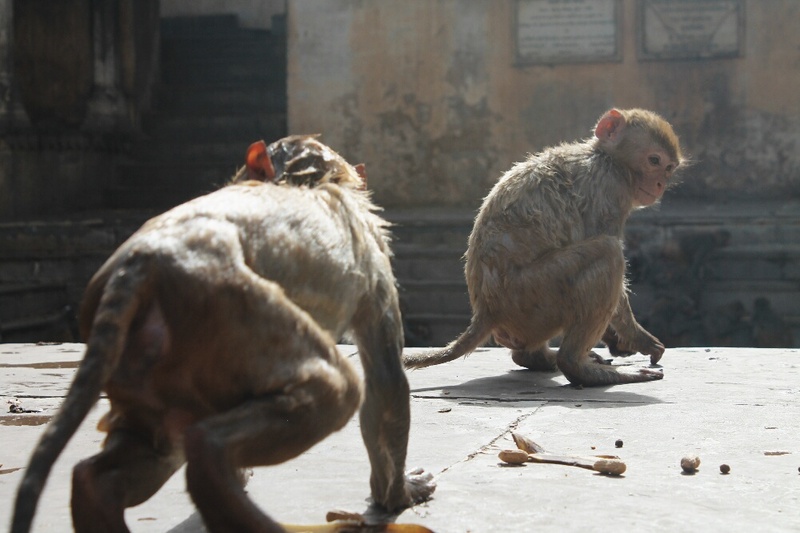 There were a number children swimming in one of the old baths, enjoying the cool water in the blistering heat, and further up from that the monkeys were doing the exact same. No wonder we are so closely related. It was great to see the monkeys so close up, one even jumped on my back … Coining the phrase “got a monkey on my back”. The experience was a little tainted when more donations were required/demanded, as the entry donation and fees were not enough it seemed. As I put down even more money, the spiritual man asked for more. At this point I was getting a little bit bored of being fleeced for money every way I turned (and now by a holy man). I told him this feels more commercial than spiritual and walked to the exit. We then went on a tour of the city, seeing more visual delights, but one of the highlights was an encounter at Amber Forte with Viccky a young boy, 15, fully of energy, optimism and happiness … We shared stories for 25 mins, for once money wasn’t mentioned, he merely wanted to talk to foreigners on a mission to gain knowledge “money comes and goes, knowledge stays forever”. Hearing this from the Indian teenager renewed our faith in the Indian people and maybe the youth of India could offer a better future. 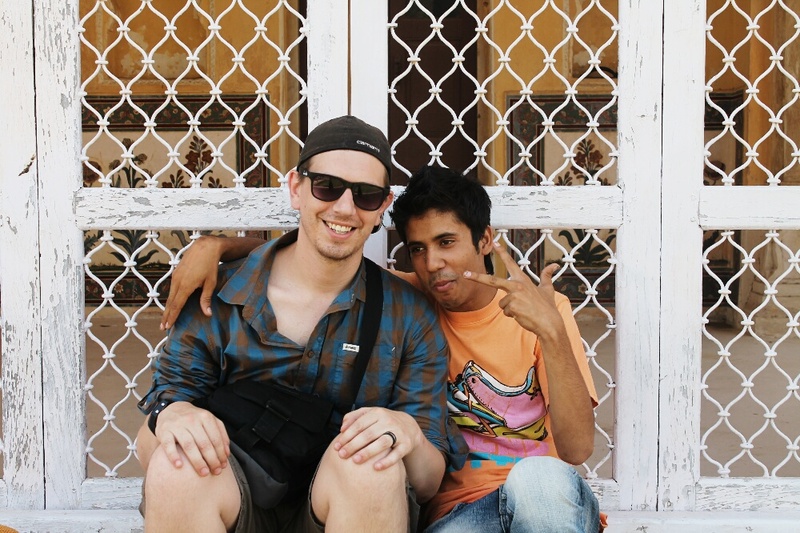 Also at Amber Fort, team mussmart were an attraction ourselves with people crowding us to take pictures of us/with us. With a lot of Indians on their vacations from their far away villages, we were the first white people that they have seen in person. These people were gracious and lovely people. Later that day we went on an elephant safari. In our heads this sounded romantic. In reality it was hard to experience and endure. 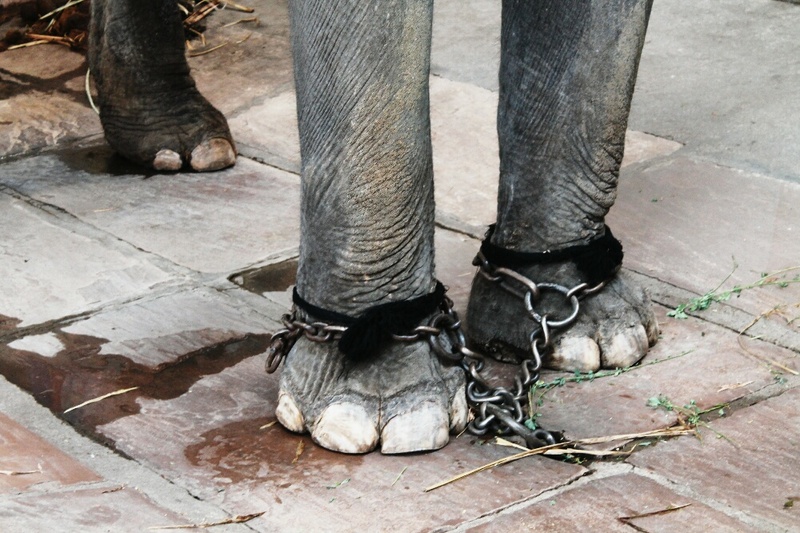 The elephants were chained up in a tiny space. We felt like we should go along with it, we didn’t want to offend anyone, but as soon as we were on the elephant we both immediately felt awful, as the driver was stabbing the elephant in the head to control its movements. 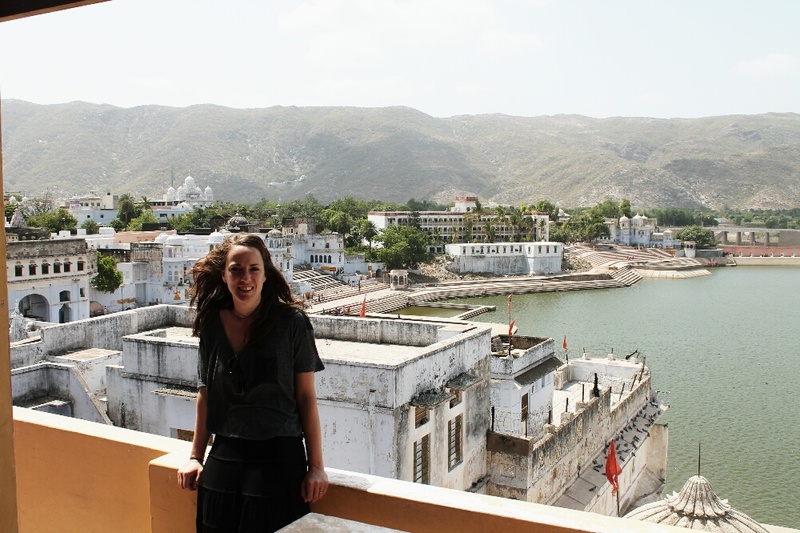 The next day we drove to Pushkar, which was a much needed break from the big city hustle and bustle. Our hotel Master Paradise had a swimming pool, which we were only dreaming about in Varanasi when temperatures were almost hitting 50 degrees. Pushkar is a nice little tourist town, the streets were much cleaner, not so many people hounded you for money. We went to a rooftop cafe called Laura’s Cafe. What a great find, with a view of the holy lake but also we met another charming man called Prashent, 23, we sat talked and shared a coke and a smoke. He invited us to his home town down the road but we didn’t have enough time, but again were very happy we had another positive experience with a local that didn’t turn into a business negotiation. After 2 days in Pushkar, we set off back to new Delhi, our trip was done and the next stop is Bangkok. Posted on June 16, 2014 June 26, 2014 by themussmarter	This entry was posted in General MussMart News, India. Bookmark the permalink.